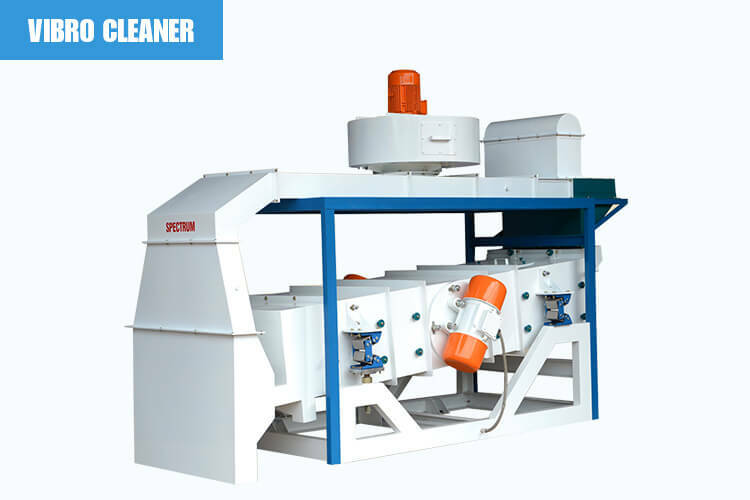 Vibro Cleaner is having high competency aspiration system that includes Hopper aspiration for pre-screening as well as outlet aspiration for post screening. 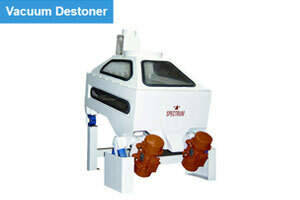 It functions easily that provides an air wash of the product in order to rid it of dust, loose husk and fibres. 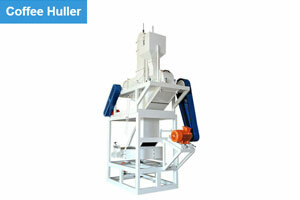 The screens are made available with vibro cleaners that are good for removing large impurities such as stick, buck and leaves as well as small impurities such as fine dirt and sand from good product in seed cleaning and processing plants for cleaning of all kinds of crops such as grain, seeds, corn, wheat, rye, soybeans, oats, millet and paddy etc. 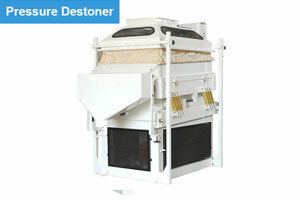 They get managed to come with two vibrating screens where the top screen removes oversize material while the bottom screen eliminates fine dirt and sand. The machine delivers optimum performance in which the deck inclination, stroke and angle of throw are adjustable. 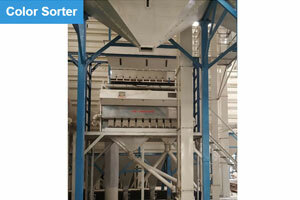 The screens are provided by means of unbalanced vibratory motors mounted in the center of the machine. 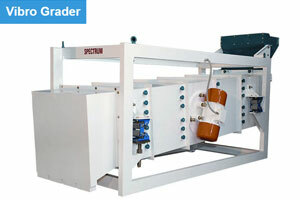 To ensure minimum or negligible transfer of vibration from the vibrating deck to the machine structure, the vibrating deck is mounted on four flexible multi-element springs. 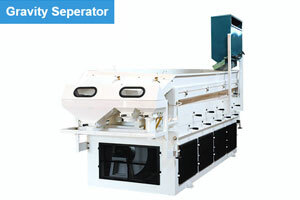 Those are the screens of Vibro Cleaner that are effortlessly removable and the machine is provided with a swing down type door for easy access and change or cleaning of screens. 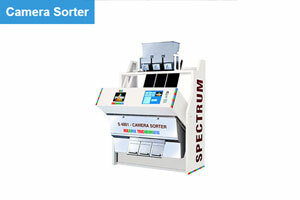 And also to ensure consistent and effective cleaning of the screens, screen cleaning is made available by means of the rubber ball tray system. Deck inclination, stroke and angle of throw are easily adjustable. Flexible multi-element springs ensure minimum or negligible main structure vibration. 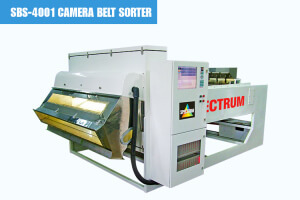 Automatic Screen cleaning by means of Rubber ball tray system. 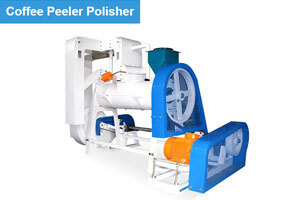 Trouble free performance due to the use of unbalanced vibratory motors. Minimum maintenance with no lubrication required. Easy access to screens for cleaning and changing.